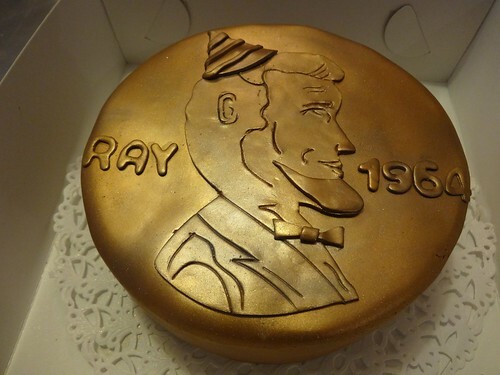 Abraham Lincoln Penny Cake, a photo by CAKE Amsterdam - Cakes by ZOBOT on Flickr. Abraham taart! In Holland, when someone turns 50, it customary to give an "Abraham taart", after Abraham from the bible. For my dear friend Ray's 50th, his boyfriend ordered him a cake with me and we thought it was funny to make him an Abraham Lincoln cake seeing as he is American!